4 YRS Xiamen Qifanda Trade Co., Ltd.
50830-SFY-023 4575 9689 EM5840 Notes Year Make Model Trim Engine 2011 Honda Odyssey EX Mini Passenger Van 4-Door 3.5L 3471CC V6 GAS SOHC Naturally Aspirated 2011 Honda Odyssey EX-L Mini Passenger Van 4-Door 3.5L 3471CC V6 GAS SOHC Naturally Aspirated 2011 Honda Odyssey EXL Mini Passenger Van 4-Door 3.5L 3471CC 212Cu. In. V6 GAS SOHC Naturally Aspirated 2011 Honda Odyssey LX Mini Passenger Van 4-Door 3.5L 3471CC 212Cu. In. V6 GAS SOHC Naturally Aspirated 2011 Honda Odyssey LX Mini Passenger Van 4-Door 3.5L 3471CC V6 GAS SOHC Naturally Aspirated 2011 Honda Odyssey Touring Elite Mini Passenger Van 4-Door 3.5L 3471CC V6 GAS SOHC Naturally Aspirated 2011 Honda Odyssey Touring Mini Passenger Van 4-Door 3.5L 3471CC 212Cu. In. 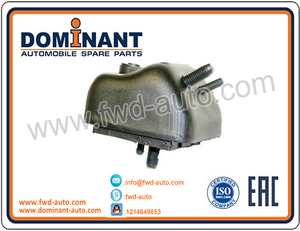 High quality and Inexpensive 12361-22090 FOR Toyota Engine Mount Front ITEM Engine Mount Front OEM 12361-22090 CAR MAKE FOR TOYOTA OEM POLICY OEM/ODM WARRANTY 1 YEAR OR 50,000 MILES SAMPLE POLICY SAMPLE ACCEPTED DELIVERY 7 DAYS AFTER PAYMENT PORT GUANGZHOU OR SHANGHAI WE HAVE ALL KINDS OF PROMITIONAL Engine Mount Front FOR ALL CAR MODELS: 1. 100% TESTED HIGH QUALITY 2. FACTORY PRICE 3. LARGE IN STOCK 4. 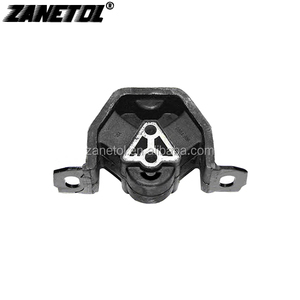 HIGH CAPACITY WELCOME TO ASK FOR A FREE INQUIRY OR SAMPLE OR OEM/ODM PART OF Engine Mount Front, WE WILL GUARANTEE TO PROVIDE BEST PRICE WITH TOP QUALITY ITEM. Our Main Product Lines are as following: Engine System: 1. Air Filter 2. Oil Filter 3. Fuel Filter 4. Cabin Filter 5. Engine Mount 6. Timing Belt 7. Gasket Kit 8. Head Gasket 9. Spark Plug 10. Piston Ring 11. Piston 12. Water Pump 13. Turbo Charger 14. Connecting Rod 15. Bearing 16. Wheel Hub Bearing Suspension System: 1. Control Arm 2. Ball Joint 3. Shock Absorber 4. Coil Spring 5. Axle Rod 6. 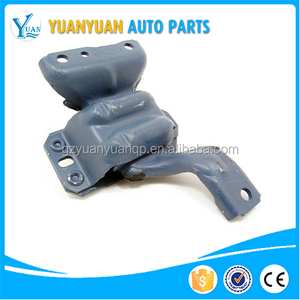 Control Arm Bushing Cooling System: 1. Radiator 2. Air Condenser 3. Compressor 4. Fans Electric System: 1. Air Flow Meter 2. Computer Light Control ECU 3. Ignition Coil 4. Clock Spring 5. Sensor 6. Switch 7. Alternator 8. Starter Brake System: 1. Brake Master Cylinder 2. Wheel Brake Cylinder 3. Brake Disc 4. Brake Drum 5. Brake Booster 6. Brake Hose Cleaning System: 1. Headlamp Washer 2. Wiper Blade 3. 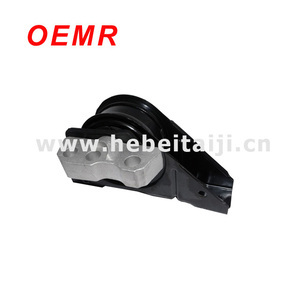 Wiper Arm Steering System: 1. Stabilizer Link 2. CV Joint 3. Tie Rod End 4. Steering Rack 5. Steering knuckle 6. Power Steering Pump Rubber Parts: 1. Engine Guard 2. Fender Liner 3. Hood Insulator 4. Trunk Lid Trim 5. Roof Trim 6. Mud Guard 7. Oil Seal 8. Bushing 9. Hood Seal Strip Fuel Injector System: 1. Fuel Pump 2. Fuel Injector Transmission System: 1. Clutch Master Cylinder 2. Clutch Slave Cylinder 3. Clutch Pressure Plate 4. Release Bearings Customers first, service foremost is our motto! We are looking forward sincerely to forming successful business relationships with you around the world in the near future. 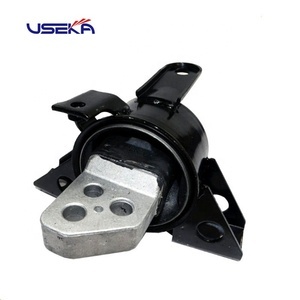 Alibaba.com offers 8,670 engine mount front products. About 55% of these are engine mounts, 2% are other auto parts. 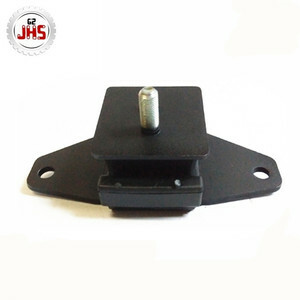 A wide variety of engine mount front options are available to you, such as free samples, paid samples. 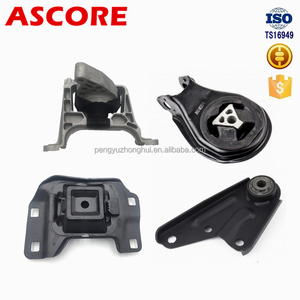 There are 8,670 engine mount front suppliers, mainly located in Asia. 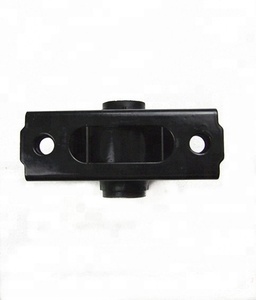 The top supplying country is China (Mainland), which supply 100% of engine mount front respectively. 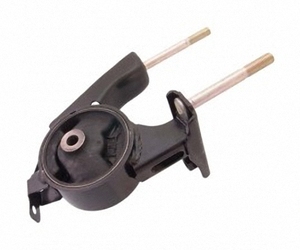 Engine mount front products are most popular in North America, Africa, and Mid East. You can ensure product safety by selecting from certified suppliers, including 807 with ISO9001, 268 with Other, and 257 with ISO/TS16949 certification.